SALEM, OR—Today, in Husted v. A. Philip Randolph Institute, the US Supreme Court upheld Ohio’s method of removing voters from voter rolls for not participating in some elections. 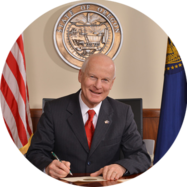 Early last year, Secretary Richardson extended the inactive voter deadline in Oregon from five years to 10 years to protect the voting rights of almost 60,000 Oregonians. “I’m proud that our rule was approvingly cited during this US Supreme Court case as a national model,” said Secretary Richardson. Prior Secretaries of State chose to interpret ORS 247.013(6)(a) and (7) as requiring voters to be moved to “inactive” status after only five years of voting inactivity. Since the official policy of the State of Oregon is to maximize voting rights, Secretary Richardson chose to honor that legacy by doubling the time before voters are moved to inactive status. Additionally, Secretary Richardson has submitted legislation to Legislative Counsel for the 2019 session to protect voters from ever being moved to inactive status for nonparticipation.